It is possible that I am misunderstanding the zeitgeist and that there are other larger factors preventing American K-12 kids from eating healthy, exercising, meditating and listening to transcendent music? Panini’s Aṣṭādhyāyī refers to Afghanistan as ash-va-kaa-na (अश्वकान​). Please note that the Aṣṭādhyāyī is much older than Patanjali who is considered millennia older than Krishna. Traditional scholarship of Aṣṭādhyāyī places it more than 7 thousand BC, which is not to say that the Aṣṭādhyāyī has not in any way been modified since then. 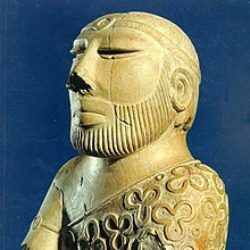 The Sharada civilization [Afghanistan, Northern Pakistan, Kashmir] represents many things. One is the convergence of the six major Shaivite schools (not just Trika) within Uttara Mīmāmsā (Vedanta) and the four major Tibetan schools via the shared 84 Siddhas. Later large streams within Sufism joined this convergence [which might be the topic of a future researched article]. Ibn Haukil mentions that in his time there were remains of a considerable city more to the west, by the people of which, Zaranj was built. He calls this places Ramshhristan, a curious compound of Indian and Persian appellations. 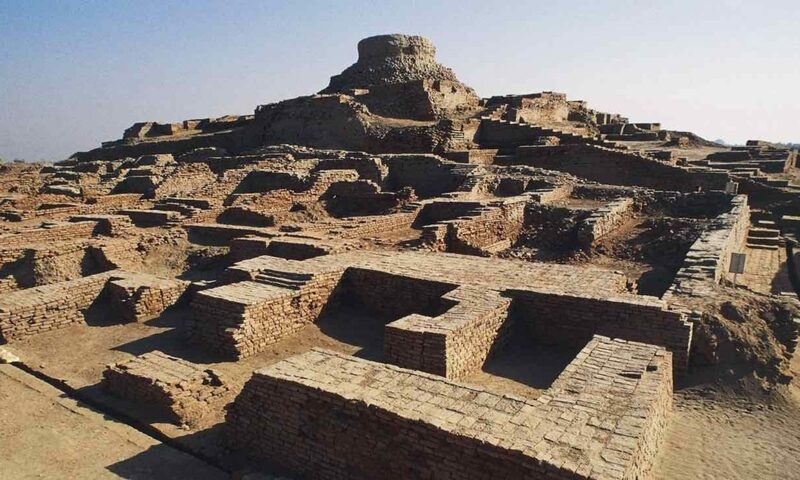 There were ruins ‘at astonishing number’ in Herat, at Farrah, and Peshawarun–all sites near the province of Dranjiana connected with the Vedic dynasty of the Srinjayas [who were prominent during the 18 day Mahabharata war]. It therefore becomes all the more curious to hear the name of the place called Ramshehristan. Panini, the eminent grammarian of Sanskrit, lived here in about 350 BC. [for the record I think Panini lived far earlier and before Patanjali] In his composition of the a sutra (4.3.93) on the Sindh and Takshasila class (gana-patha), he includes Sindhu, Varnu, Madhumat, Kamboja, Salwa, Kashmir, Gandhara, Kishkindhya, Urasa, Darada and Gandika. These are geographical names and lie in the trans-Indus regions. The place mentioned by Panini as Kishkindhya is today known as Kalat in Baluchistan. A great linguistic puzzle is that the local people call Brahuis speak in a Dravidian dialect. Afghanistan was not the name of a country before 1747 AD. The lands lying to the est of the River Indus were called by different times as Kamboja, Bahlika, Madra, Aratta etc. in the north; as Sarayu (Horayu) in the north-west; as Sarasvati (Harahvati) in the south-east; as Gandhara in the center; as Zranjiana in the south-west and as Kishkindhya in the south. They were of five streams or Pancajanas. Their leader was Visvamitra, who lived in Satudri-Vipasa valley (RV III.22.1). They fought against the Srinjayas under Vasistha in the famous battle of the ten kings. The name Srinjaya is similar to Zaranj and Sarangaei of the Iranians, old Persians and the Greeks. These were the names of the Iranian tribes who lived according to Herodotus in Zranjiana or Dranjiana, an area on the River Sarasvati or Horahvaiti in the Arochosia-Helmand region. 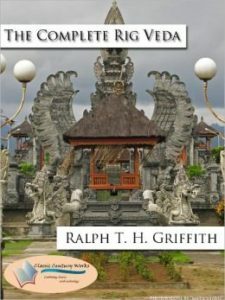 Divodasa, greatest among the Rig Vedic kings, was a Srinjaya. He was born here. . . .
Horahvaiti region i.e. the Helmand-Arachosia region of what is today western Afghanistan . . .
Heldebrandt, one of the earliest scholars on the Ramayana in the West, was of the view that Sarasvati was the river Arghandab (Horahvaiti of the Zend Avestaiver, ) in Arachosia of modern Afghanistan (then Iran). Brunhofer, another scholar of the epic, adopted the Iranian link. Zimmer was in favour of placing the Rig Vedic Sarasvati in this area. Recently, Burrow has held that the early Rig Vedic Sarasvati was the River Horaxvaiti of Iran, and the River Sarayu was the Afghan, Horayu. Among the Indian scholars, Jaichandra Vidyalankar, after a detailed rumination, identifies Sarasvati as the Iranian Haraqvati . . . 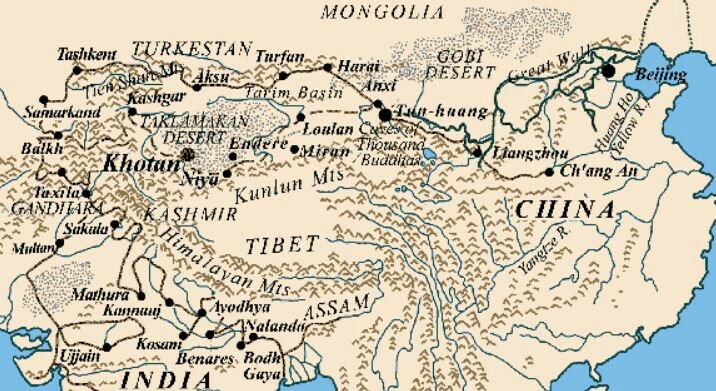 Most people do not know that until about a thousand years ago, the Tarim Basin (northwest of Tibet, which is the part of Xinjiang below the Tian Shin Mountains) was Indic in culture and it was a thriving part of the Sanskritic world; its people spoke the Gāndhārī language which many see as descended from Vedic Sanskrit, and Khotanese Saka, which is also closely related to Sanskrit. Perhaps the region to compare it most is Kashmir, to whose north it lay. There was also much interaction between the two regions with many scholars traveling from Kashmir to Khotan, and silk culture is believed to have passed from Khotan to Kashmir and then into India. Gāndhārī inscriptions have been found as far east as Luoyang and Anyang in Henan province in Eastern China which attests to the vastness of the influence of Sanskrit. Europeans in recent centuries called the whole region Serindia, indicating the meeting place of China and India. Khotanese kings were Mahāyāna Buddhist but as we know this sect incorporates Vedic and Tantric systems, with all the devas such as Indra, Śiva, Viṣṇu and Sarasvatī, and just places the Buddha at the head of the system (as in Vidyākara’s Treasury). There was also Krishna worship in Khotan and we find the Rāma story in Khotanese language, of which there is also a Tibetan version. The traditional date for the of Khotan, on the southern and the more ancient branch of the Silk Road, is the reign of Aśoka Maurya (3rd century BCE). It was ruled by Buddhist kings until it was conquered by the Muslims in 1006. Some of the kings mentioned in the “Prophecy of the Li Country”, composed in 746 CE, dealing with events of the recent past are Vijaya Kīrti, Vijaya Saṅgrāma, Vijaya Dharma, Vijaya Saṃbhava, and Vijaya Vāhana. Many Khotanese cities had Sanskrit names. For example, Khotan in Sanskrit was Gaustana गौस्तन and the modern city of Kashi (Kashgar) was called Śrīkrīrāti (in Sanskrit Śrī+krī+rāti, श्रीक्रीराति, ‘Glorious Hospitality’). Kashgar itself appears to be the popular name from Sanskrit Kāśa+giri (काशगिरि, bright mountain). The Khotanese called their language hvatanai ह्वतनै which later became hvaṃnai ह्वंनै; this is equivalent to the name deśī that is used for language in India (vatan, from svatana = deśa). The liturgical texts in the region were written in Buddhist Hybrid Sanskrit, whereas those in the region of Krorän (Chinese Loulan), an important oasis further east of Khotan, used Prakrit in administration. 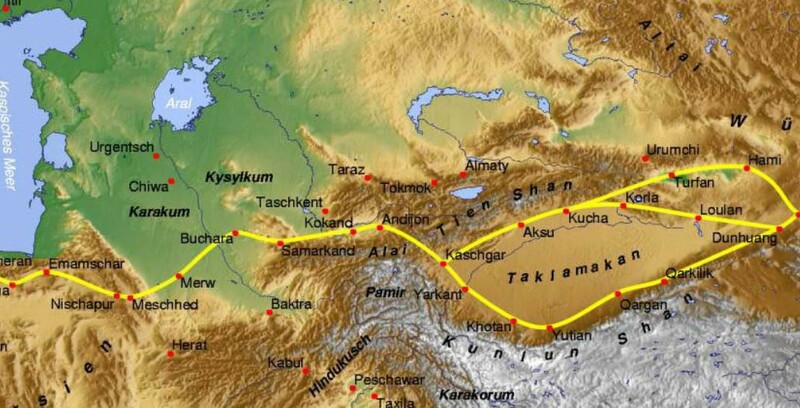 A third language called Tocharian was also used both to translate Buddhist texts and as an administrative language. Many Sanskrit texts of India remember the general region as Tuṣāra or Tukhāra, and it retains currency as a popular proper name. Another major language was Khotanese Saka, which is sometimes seen as an eastern Iranian language (that is emerging from the region just west of Kashmir). But since the large number of the Śaka who ended up in India as rulers or soldiers have always spoken the more easterly Indo-Aryan languages, I personally believe that the Saka languages were largely Indo-Aryan, although as one traveled further west, the Iranian elements increased. That Khotanese Saka was principally a Indo-Aryan Prakrit is reinforced by the fact that the texts are in Indian scripts of Brāhmī and Kharoṣṭhī. Many of these documents were collected in archaeological explorations to Chinese Turkestan by Aurel Stein, who is also known for his translation of Kalhaṇa’s Rājataraṅginī. Stein came across tens of thousands of manuscripts from 5th to 11th centuries in various sites including the Caves of the Thousand Buddhas in the Kansu (Gansu) province. One of the principal scholars who edited and translated many of these texts was H.W. Bailey and this literature remains a popular field of study for scholars. Some have suggested Europoid identification to explain the blonds and red-heads among the mummies, but there is no need to travel thousands of miles to Western Europe to explain this; Kashmir, just south of the Basin has plenty of red-heads and blonds. One of the DNA studies notes that the population had “relatively close relationships with the modern populations of South Central Asia and Indus Valley, as well as with the ancient population of Chawuhu.” This is perfectly reasonable if the original inhabitants of the region were from Indus Valley [code for India] and they left a genetic trace in the region. Hopefully future articles will be written about Turan, Iran and further west. Again, please read the top hyperlink in full. This is a very simple poll. I posted a couple of these questions on Twitter (@omarali50) and want to do the same here. The idea is to test a hypothesis (not about what will happen to the Indian religious landscape, but what do readers of this blog THINK will happen to it, and why) which will be part of a later blog post I plan. For now, please take this very simple 3 question survey by scrolling down within the survey below.. and comment on the post as you see fit.. We may learn something, or at least have some interesting discussions..